If you haven’t heard of Teals Prairie, then you’re in for a treat. This family-run business specializes in personalized gifts and their offer is truly remarkable. Today, we’ll introduce you to their Cocktail Set. 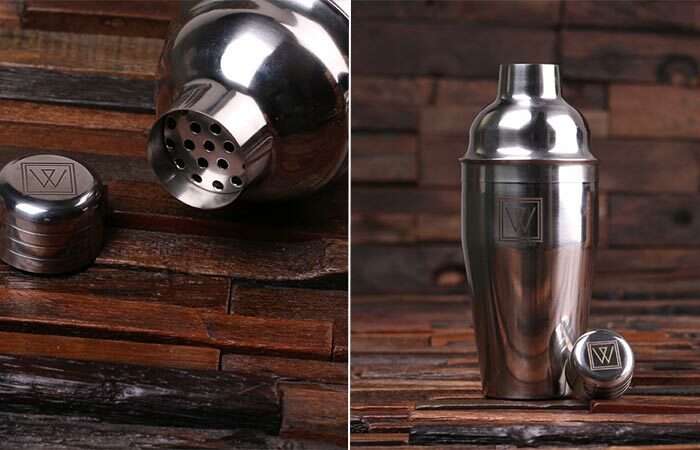 This set is a perfect gift for a bartender, groomsman or a nice addition to your man cave. It’s made from quality materials like wood and stainless steel. The materials make it super tough and allows you to use it for years to come. Also, stainless steel makes it look sophisticated. The 18 oz Teals Prairie shaker is made from stainless steel and can be engraved with whatever you choose. Each set contains five pieces. 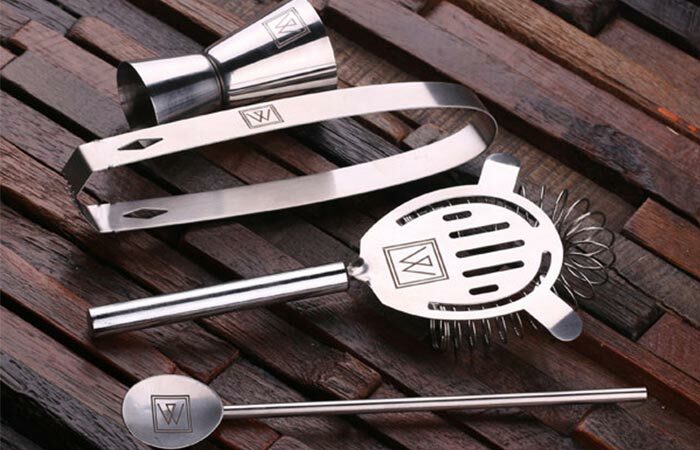 There’s the 18 oz shaker, measuring cup, bar spoon, a cocktail strainer, and tongs. Everything is packed in a 4 x 4 x 11 inches wood storage box that will look nice on your counter and is suitable for carrying it. Each item in the set is laser engraved and the company gives you the option to personalize yours by getting engraved anything you want. Get it from Etsy here. Besides the shaker, there are four more pieces in this set, all packed in a wooden box.